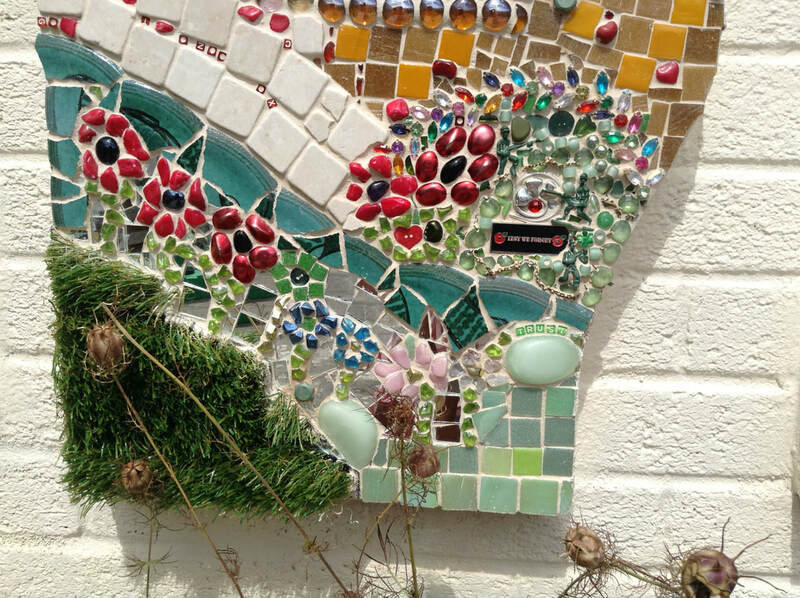 As a community artist I have over 20 years experience of running projects and facilitating workshops in schools and associations, creating murals and sculptures for indoor and outdoor environments. 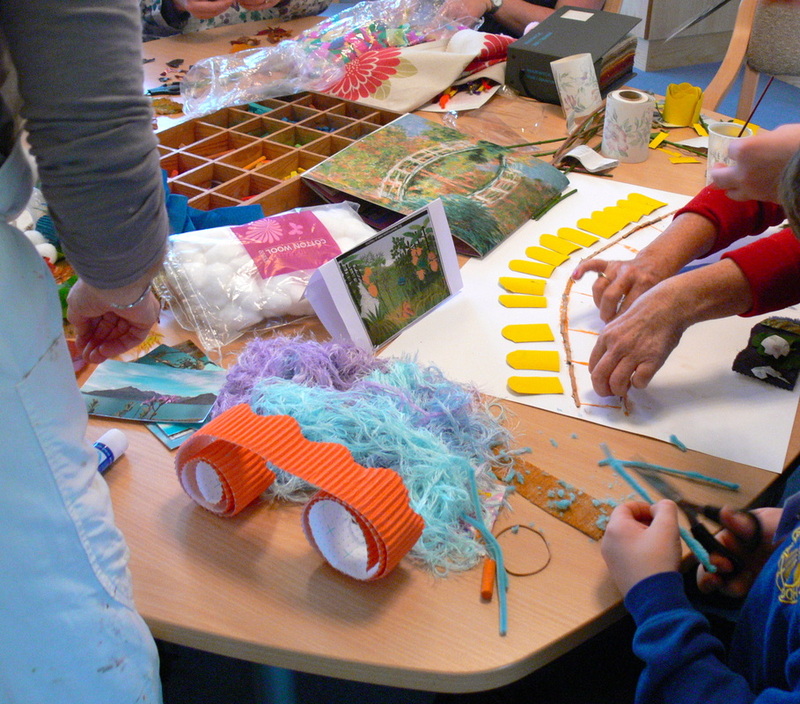 Projects are designed to fit with your space, values, ethos and curriculum. 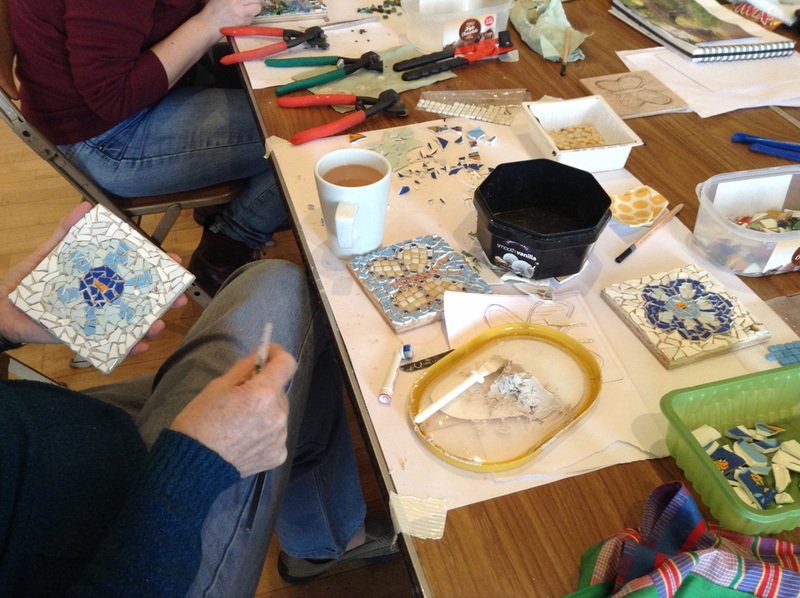 I work with people of all ages and abilities and with a wide range of materials including much that is found and reclaimed. 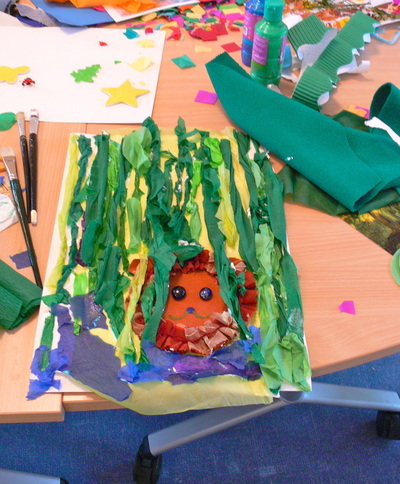 Click on the link below to find a full profile on World Jungle - Cultural Artists register. 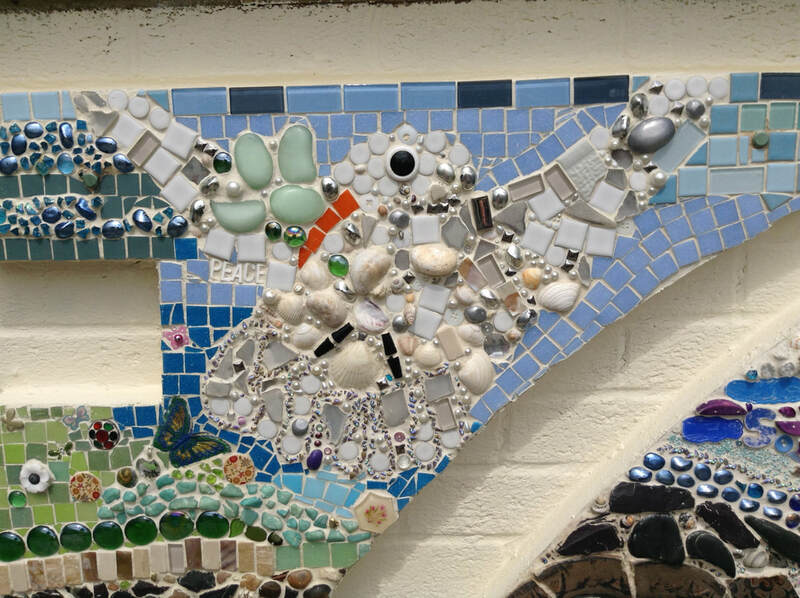 The mosaic is based on the school values of Peace, Trust, Friendship, Forgiveness as well as acknowledging their religous beliefs. 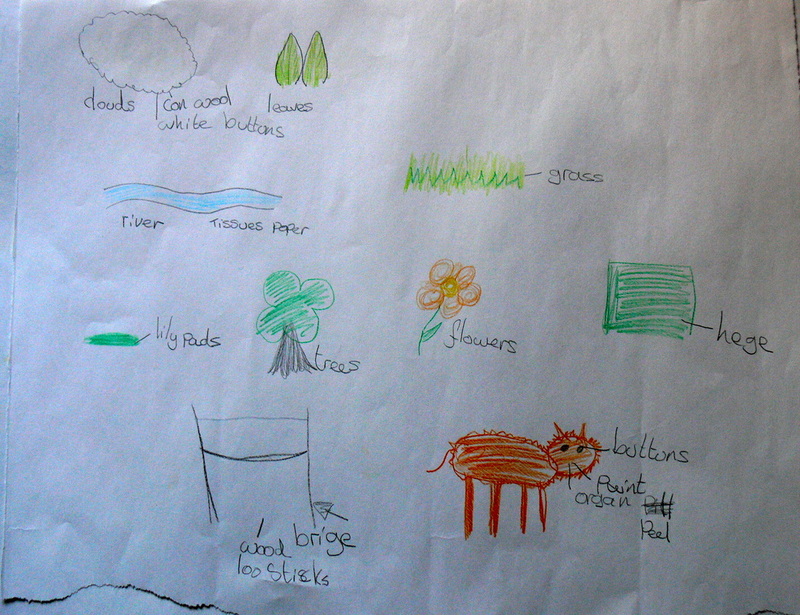 The whole school was involved. 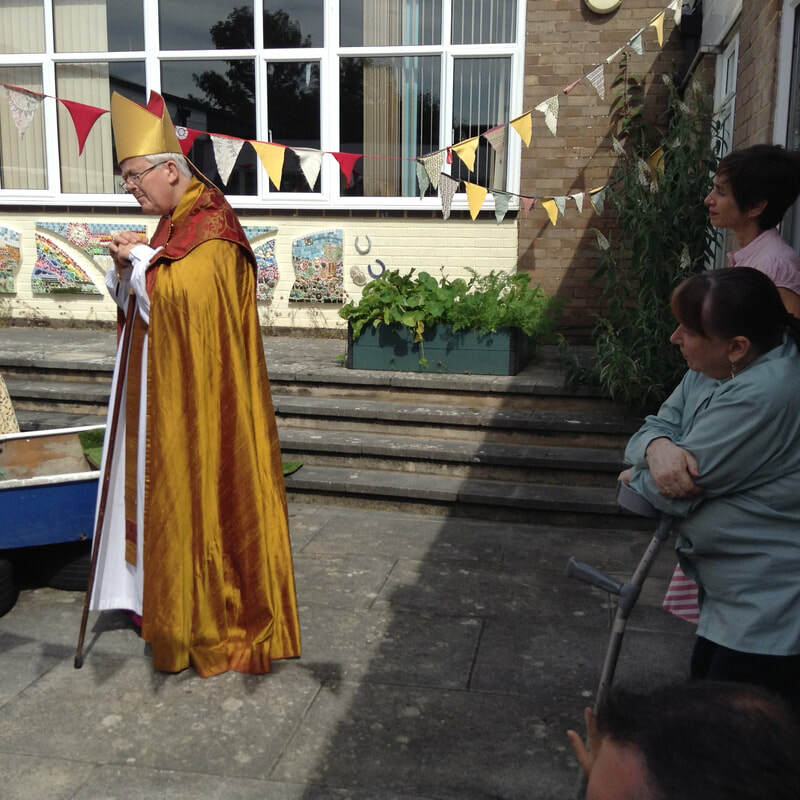 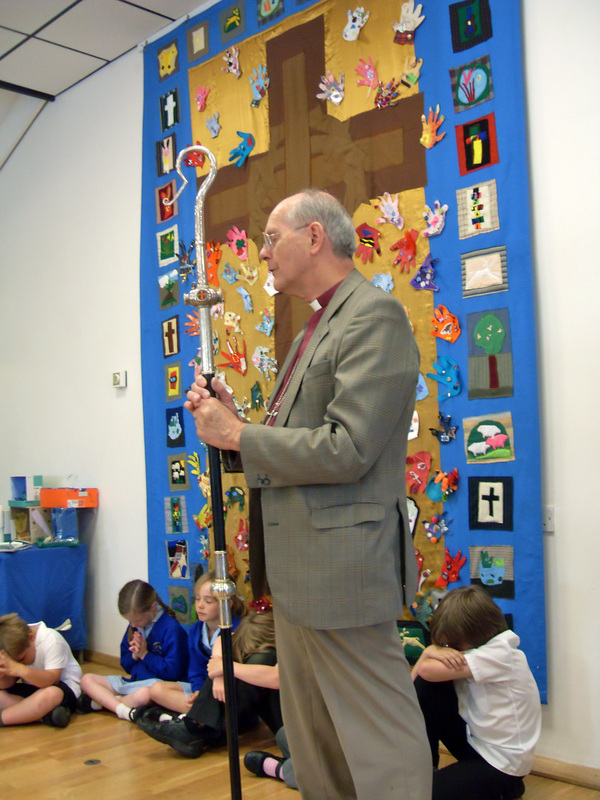 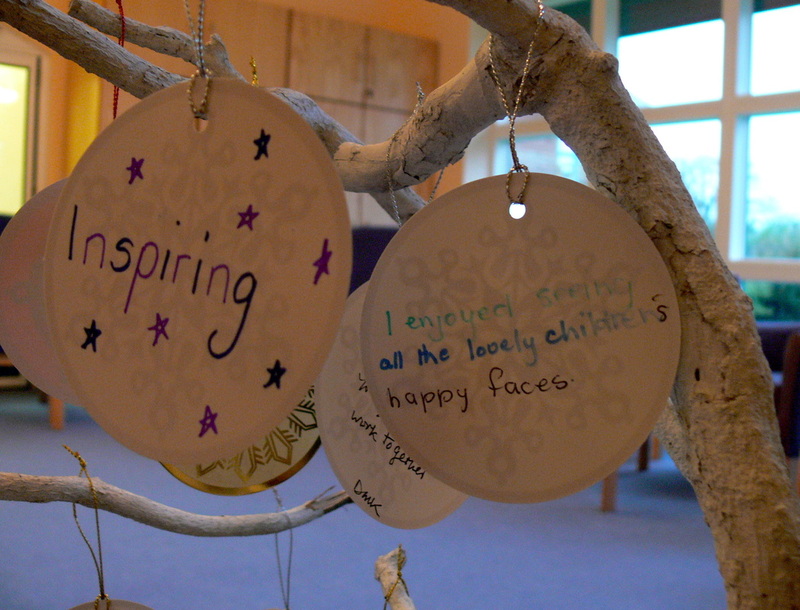 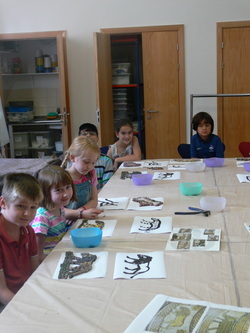 School's Project 2013 with Cotswold Care Hospice and Minchinhampton Primary School. 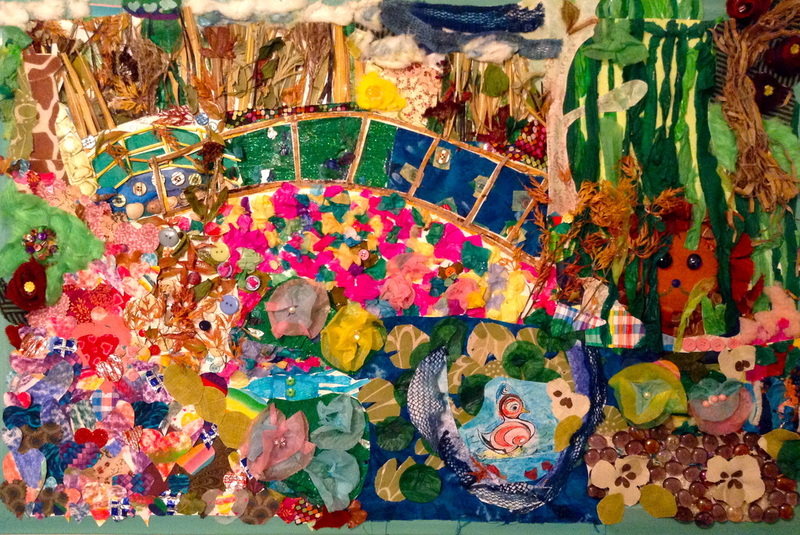 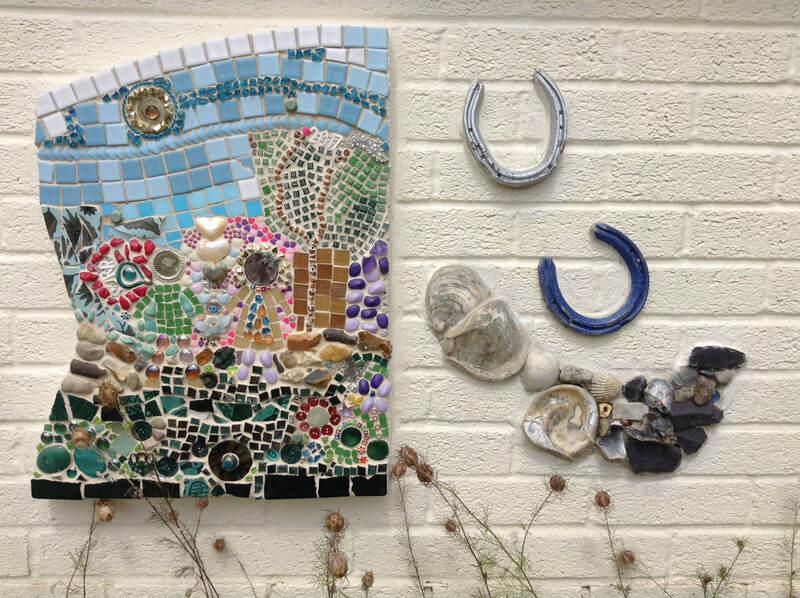 Patients and Pupils worked together to create a collage based on the Value - Courage and element - Water. 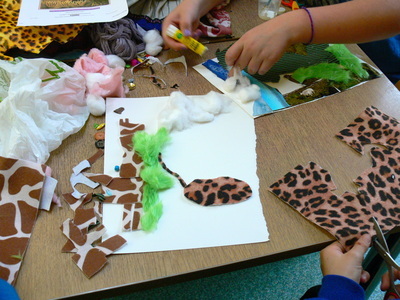 Monet was the inspiration for water and Rousseau for courage, symbolised by the animals of the jungle. The two were brought together in one finished collage piece. 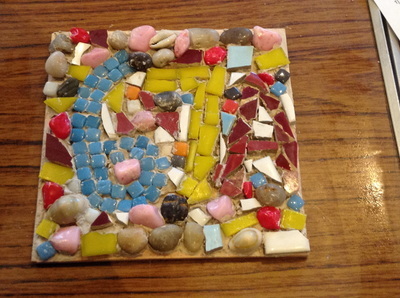 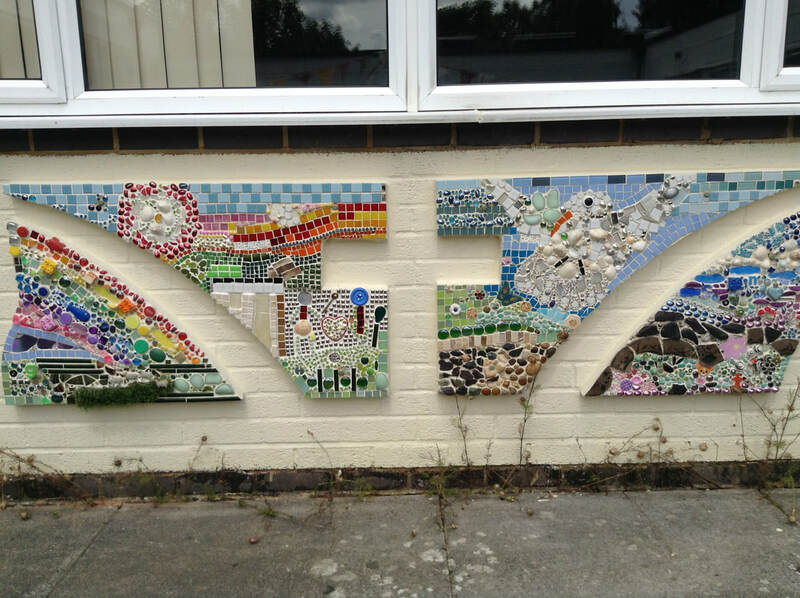 Mosaic created for Haresfield School, Gloucestsershire. 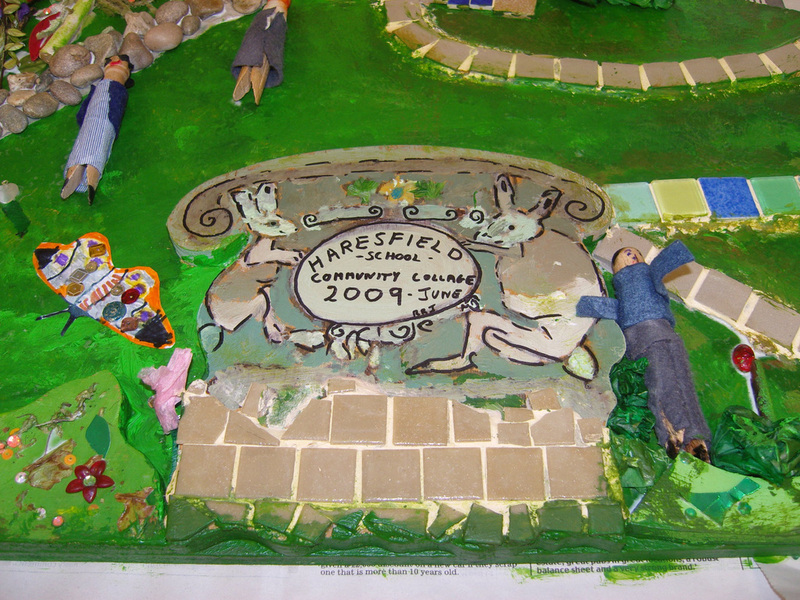 Detail from Haresfield collage created by the pupils during a residency at the school, 2009. 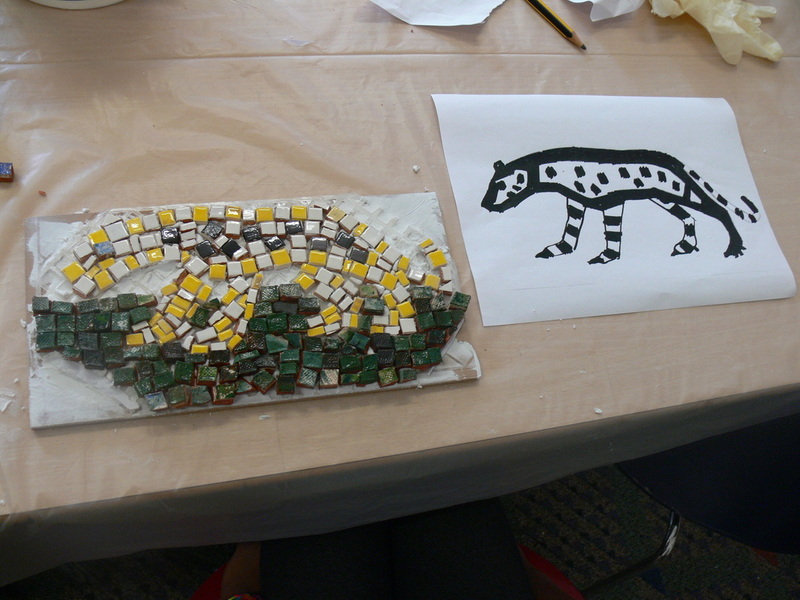 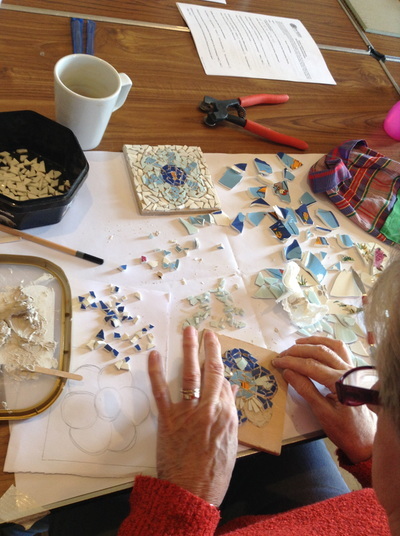 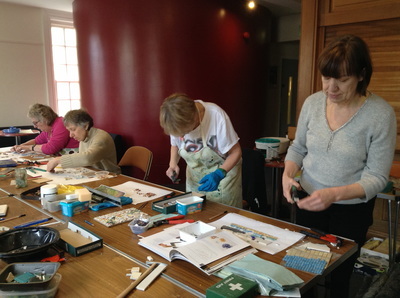 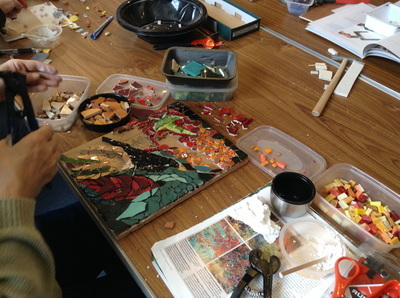 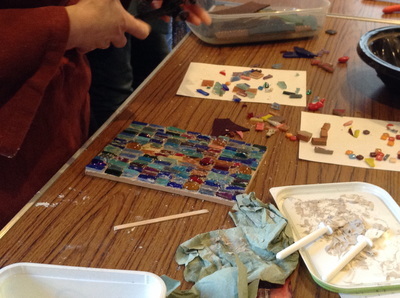 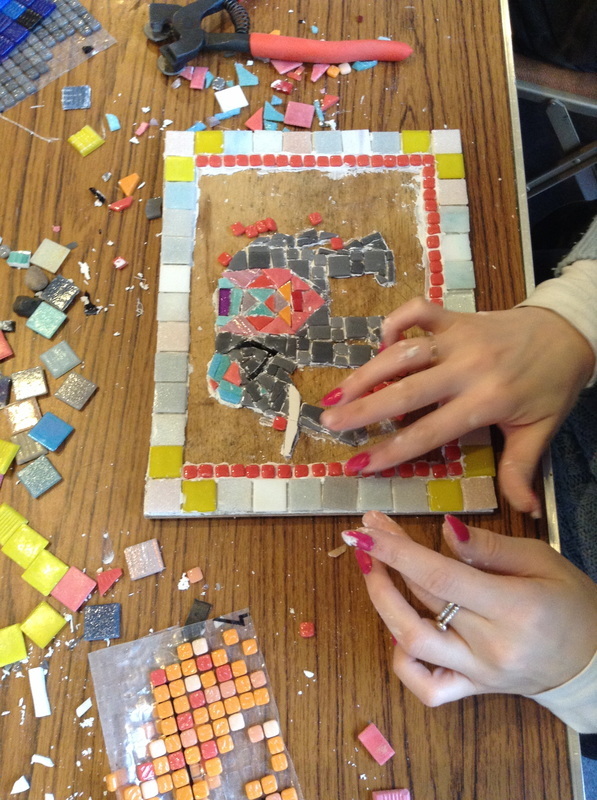 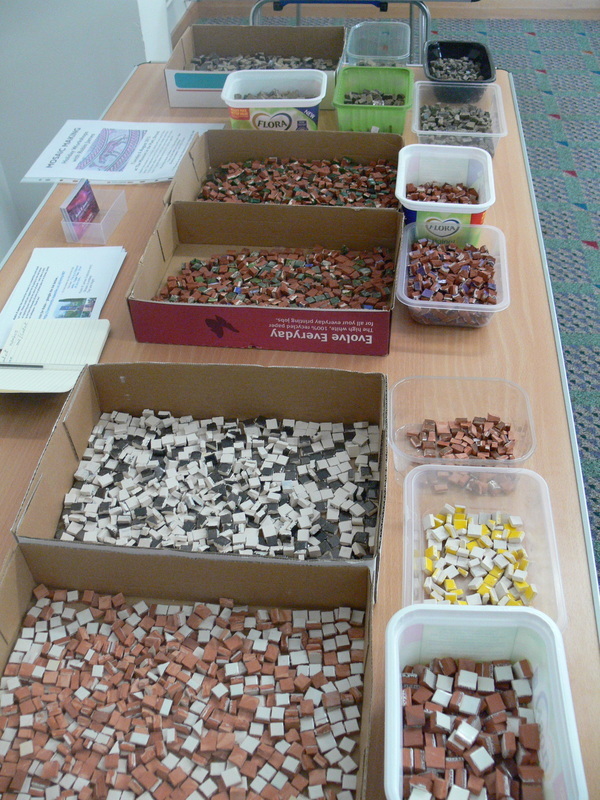 Summer 2013 Roman Mosaic workshop at the Museum in the Park, Stratford Park, Stroud. 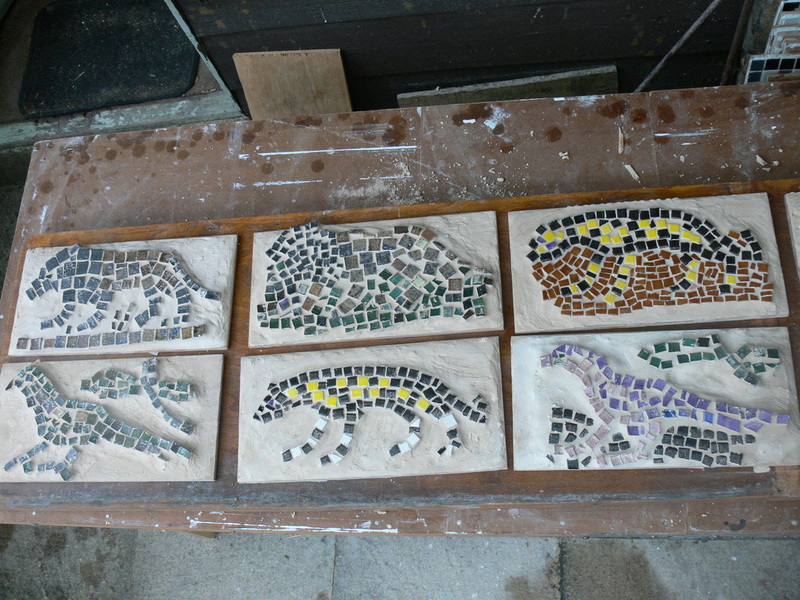 Designs inspired by the drawings of the Woodchester 'Orpheus Pavement'. 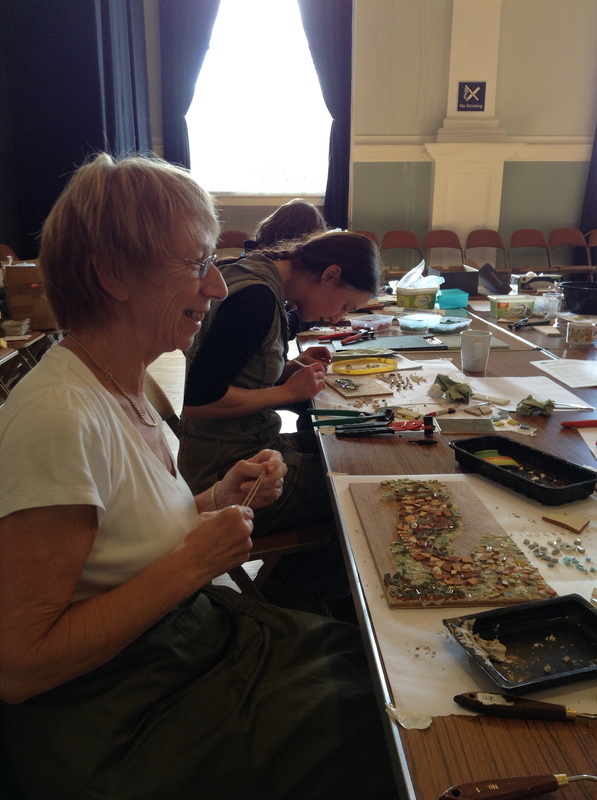 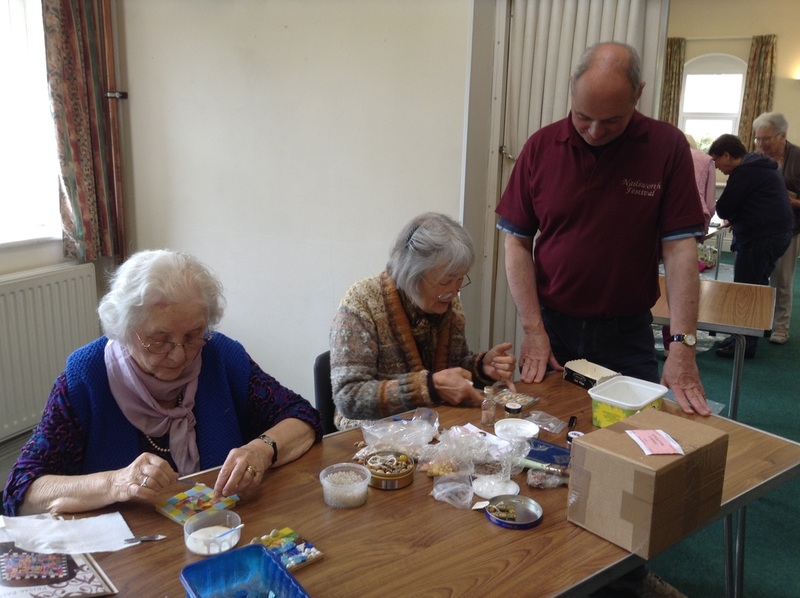 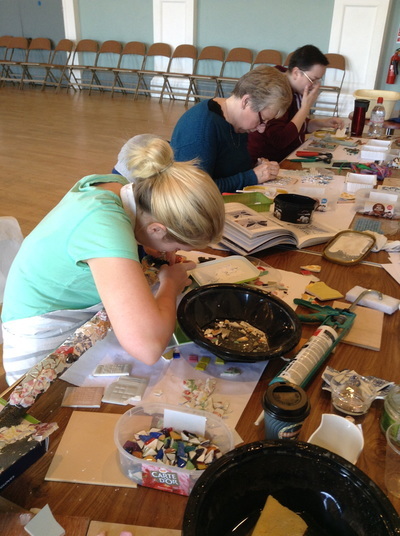 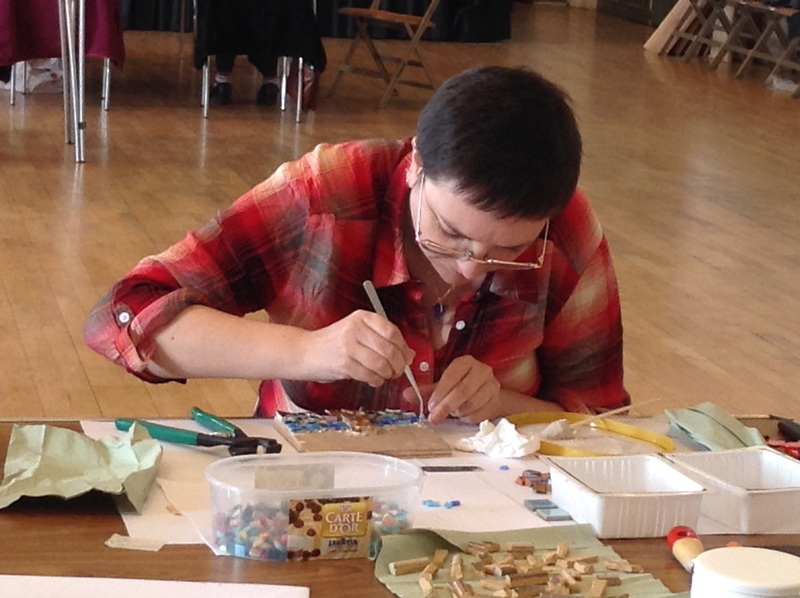 Pictures from workshops run during 2015 at The Subscription Rooms and Nailsworth Arts Festival.